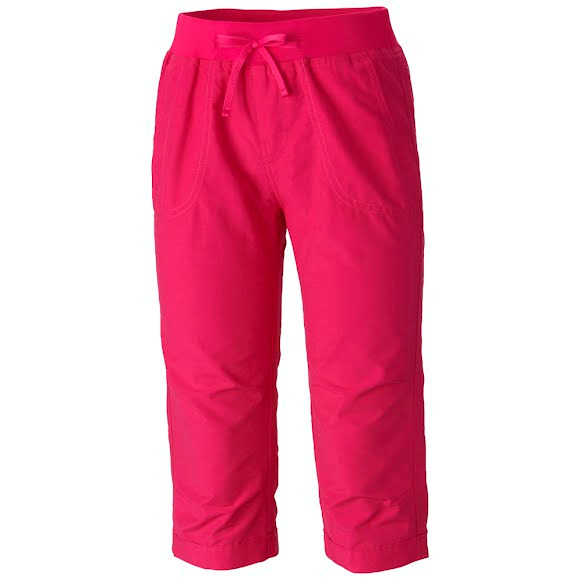 The Columbia Girl's Youth Five Oaks Capri is lightweight, comfortable, and built to take on the outdoors. This versatile girl's capri shields them from harmful UV rays with UPF 15 sun protection. The elastic waist delivers an easy-wearing fit, while a decorative bow finishes things off with a dose of girlish charm. The Columbia Girl&apos;s Youth Five Oaks Capri is lightweight, comfortable, and built to take on the outdoors. This versatile girl&apos;s capri shields them from harmful UV rays with UPF 15 sun protection. The elastic waist delivers an easy-wearing fit, while a decorative bow finishes things off with a dose of girlish charm.